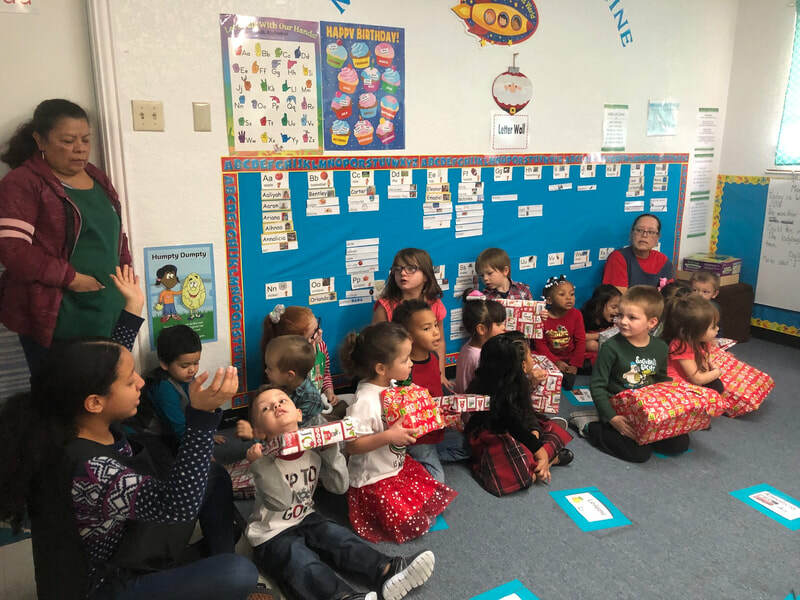 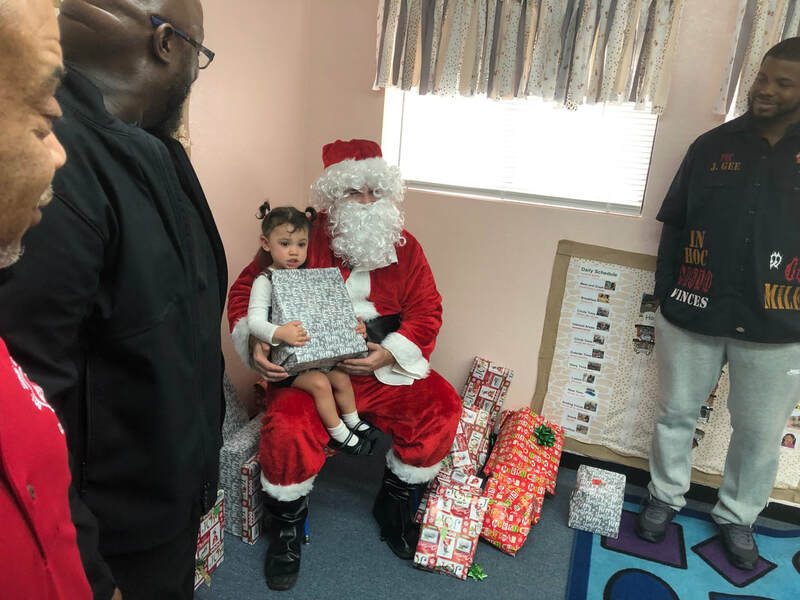 Mount Sinai 42 conducted a Christmas Toy and Food Giveaway at Head Start Copperas Cove. 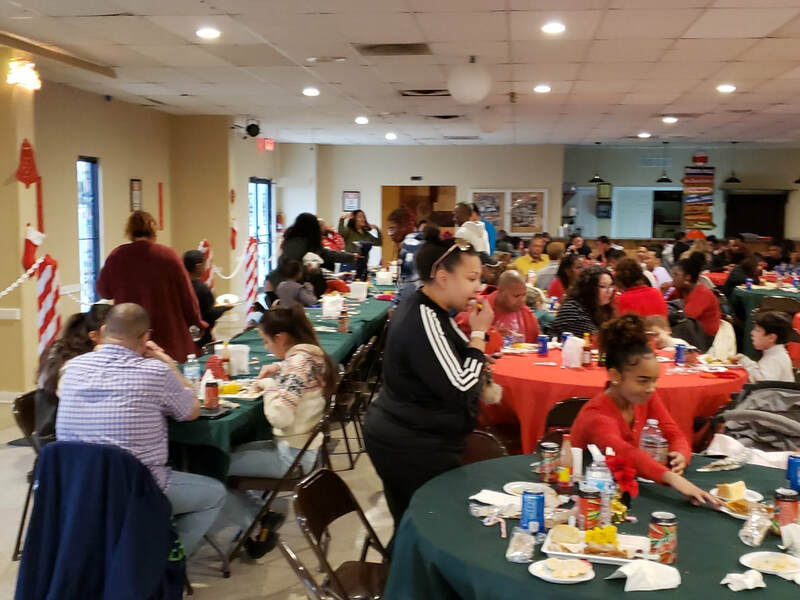 El Paso Holy Royal Arch Christmas Party. 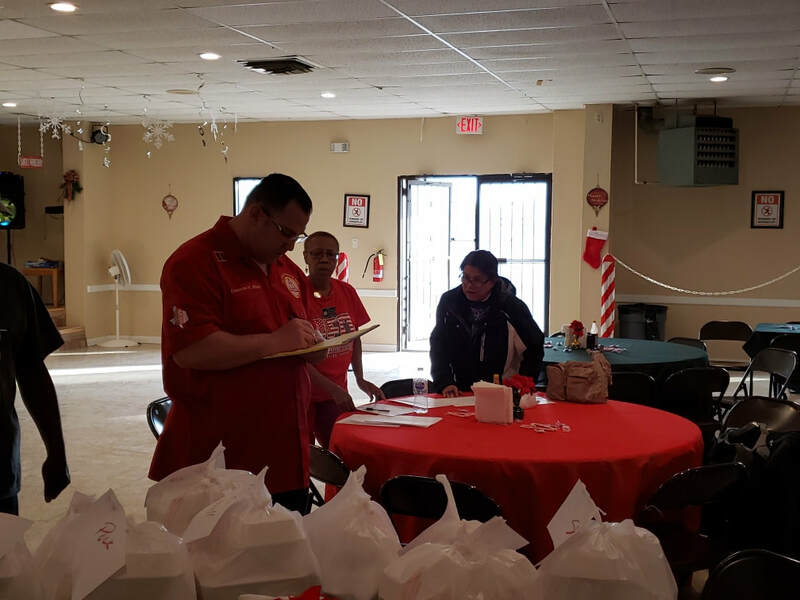 On 15 December El Paso Holy Royal Arch (RAC 90) held its Annual Christmas Party. This event is free to the public and allows parents to bring in children to receive Christmas gifts. 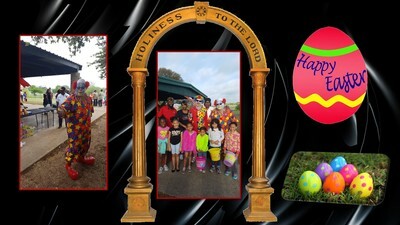 Please check out the RAC 90 website at www.elpasoholyroyalarch.com to see photos from past events or flyers for future events. 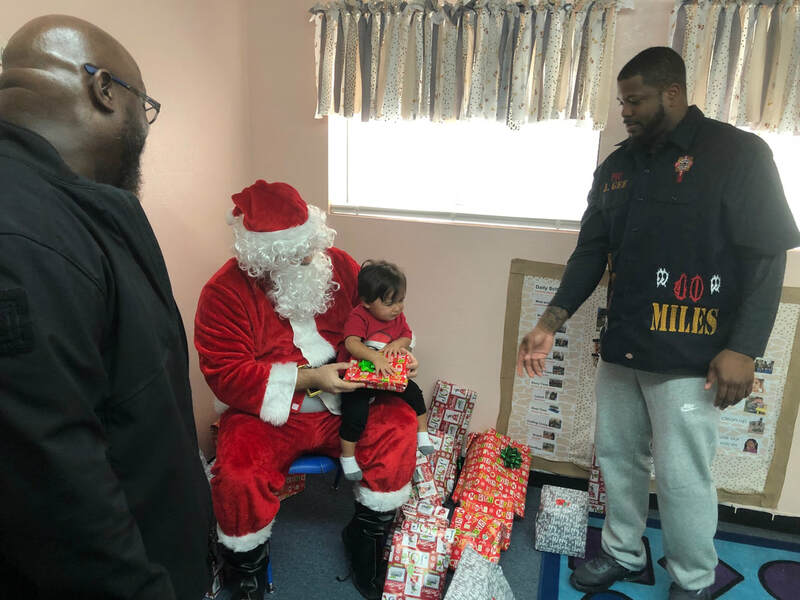 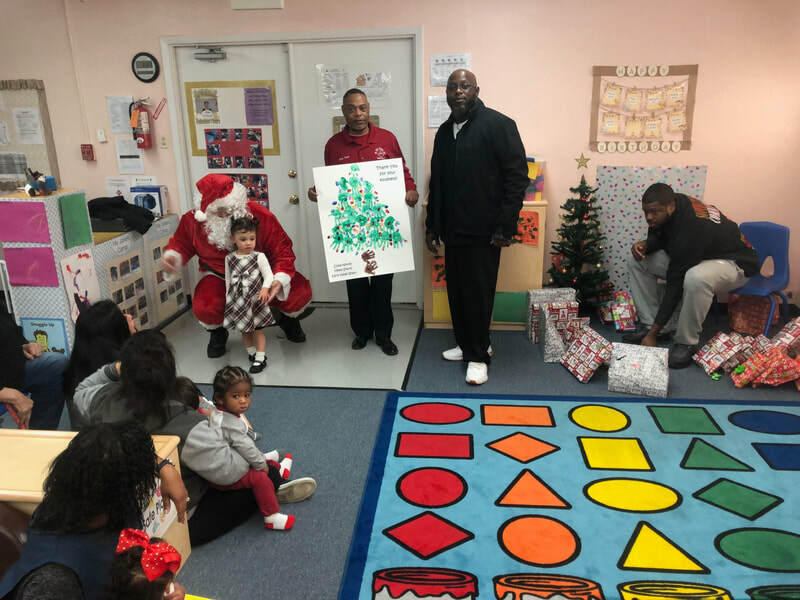 Tekhen Chapter #10, in the spirit of Christmas, donated gifts to a single mother who had took ownership of her sisters kid after her untimely demise. 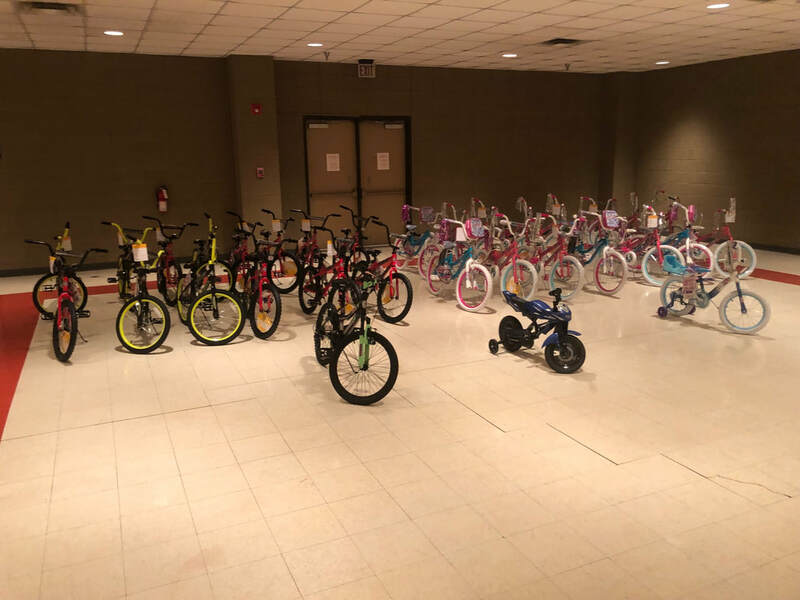 Hempstead Masonic Family Christmas Donation. 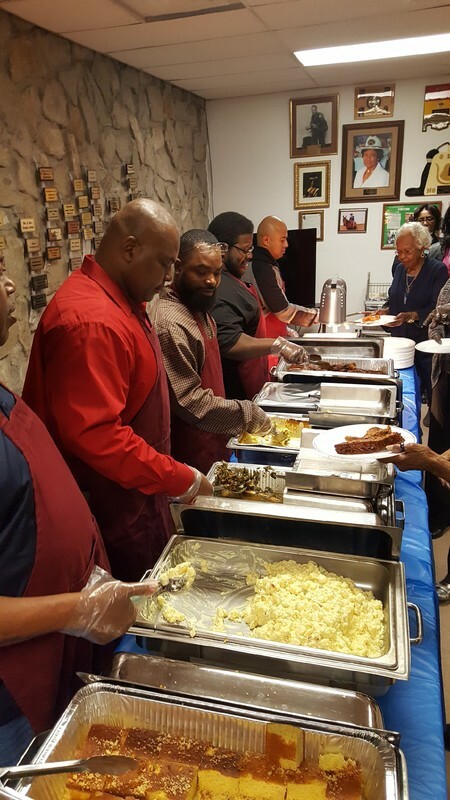 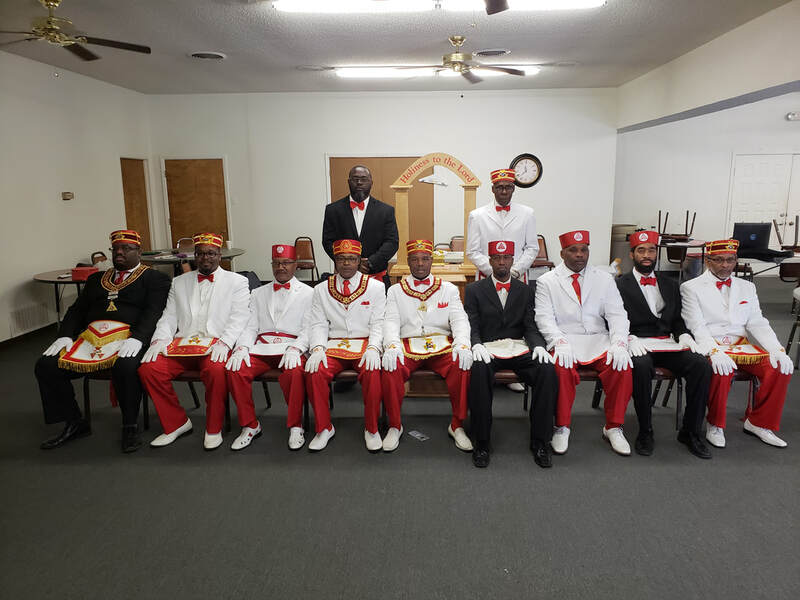 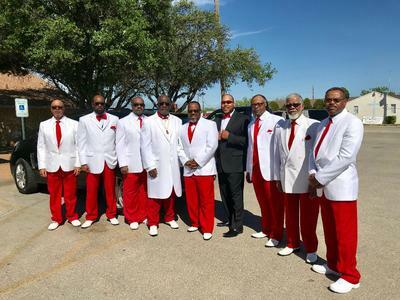 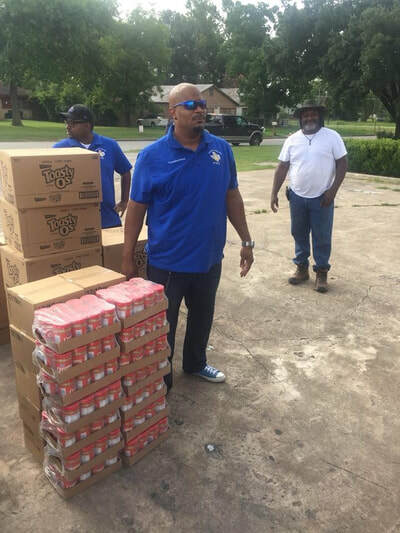 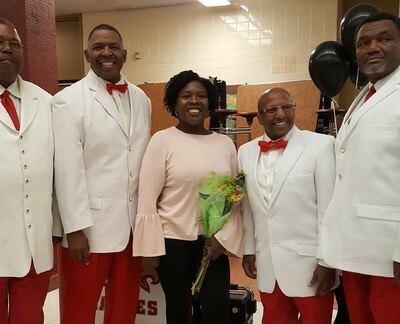 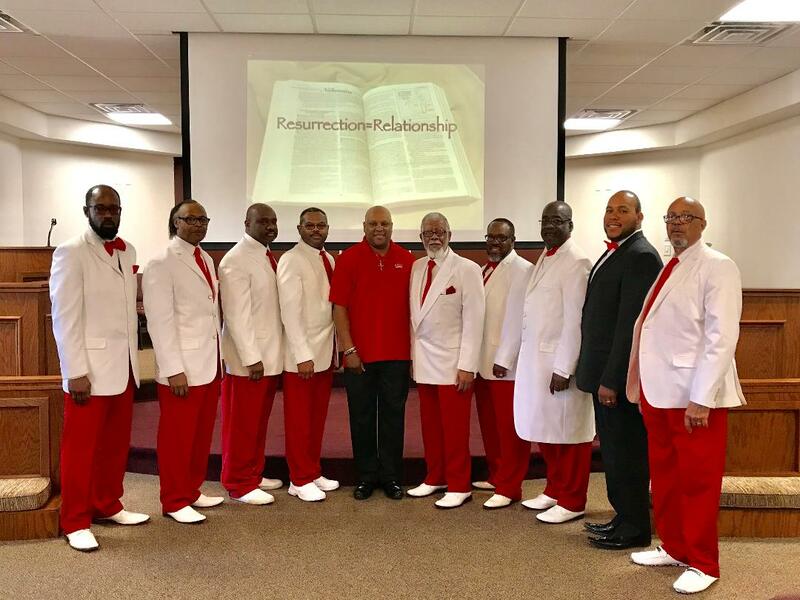 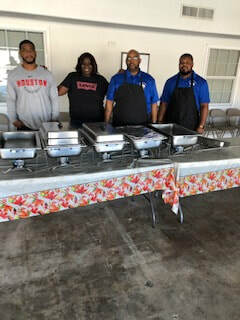 ​The Tekhen Chapter #10 partnered with Lone Star Lodge #85, Nefer-Titi #17, Valley of the Kings Council UD, and Ernie M. Williams Council #7 to provide a beacon of light in the Waller County Community. 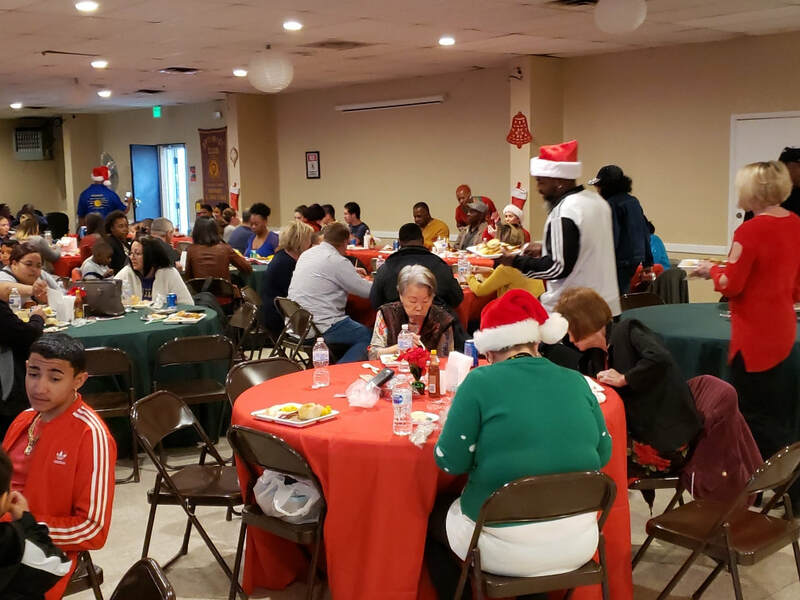 In all we provided toys to nearly 100 underprivileged youth and fed nearly 150 people. 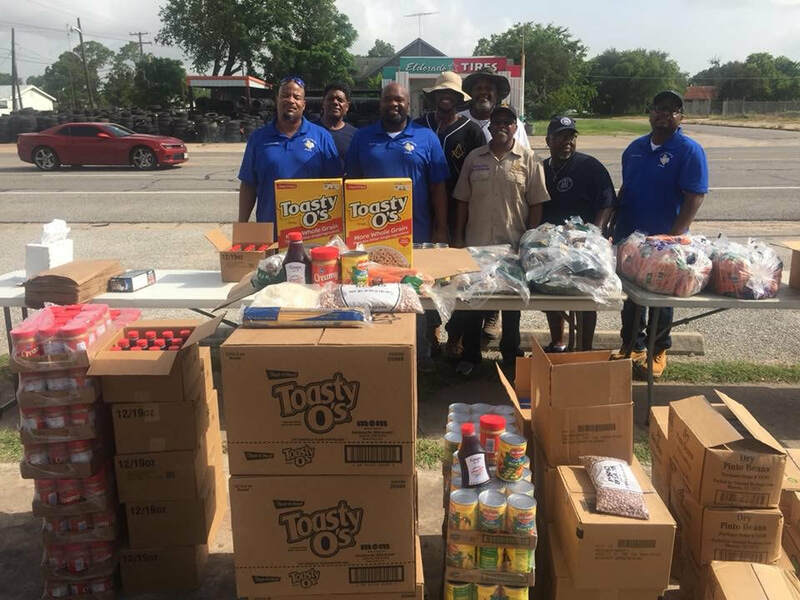 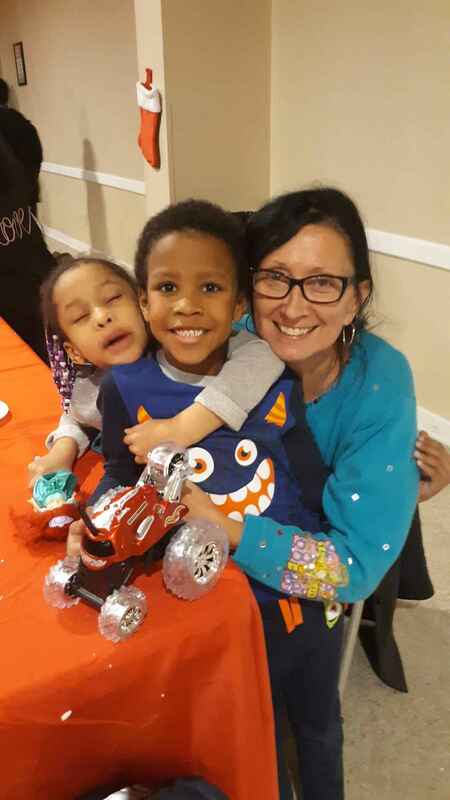 In addition the groups provided nearly $500 in aid to two families who were in need (one single mother family and one family was a recent victim to a house fire). 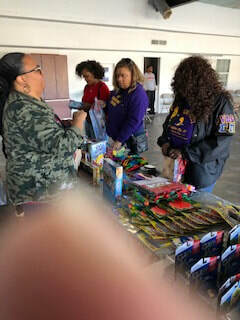 Supporting F&AM Grand Lodge of Tx Christmas Toy Drive DFW Areas. The companions of John Henry Birch granted 2 scholarships this year. However, only 1 of our applicants is currently enrolled. The picture attached is of Saron Hughes. We were able to get him scholarship money for his second Semester at the University of Houston. 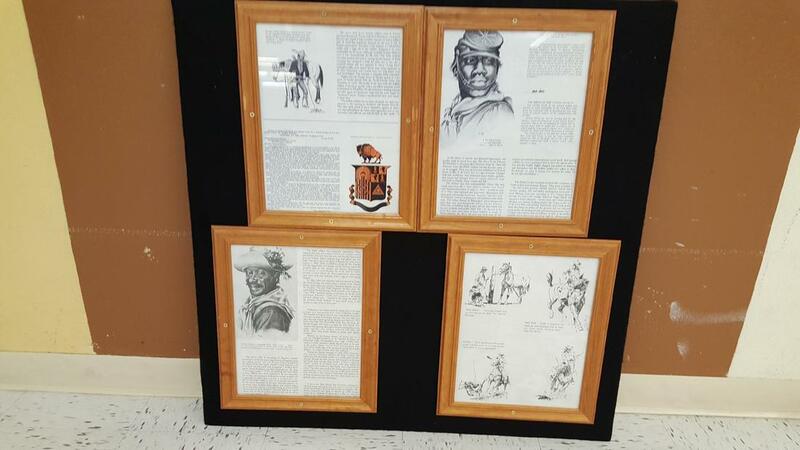 He is currently studying in the communications department. He is thinking of transferring over to the Computer science department in the spring. Killeen Masonic Family Donations to the Killeen Food Bank for families in need during the Thanksgiving and Christmas Holidays. 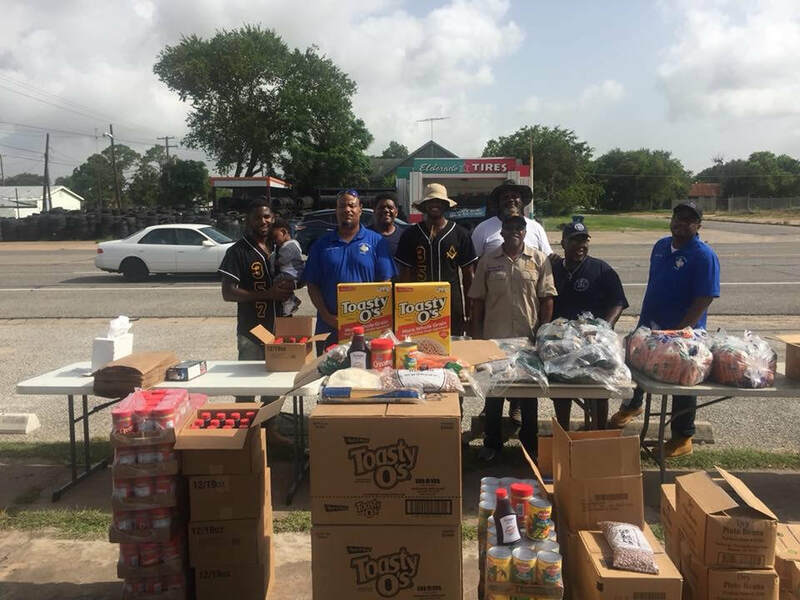 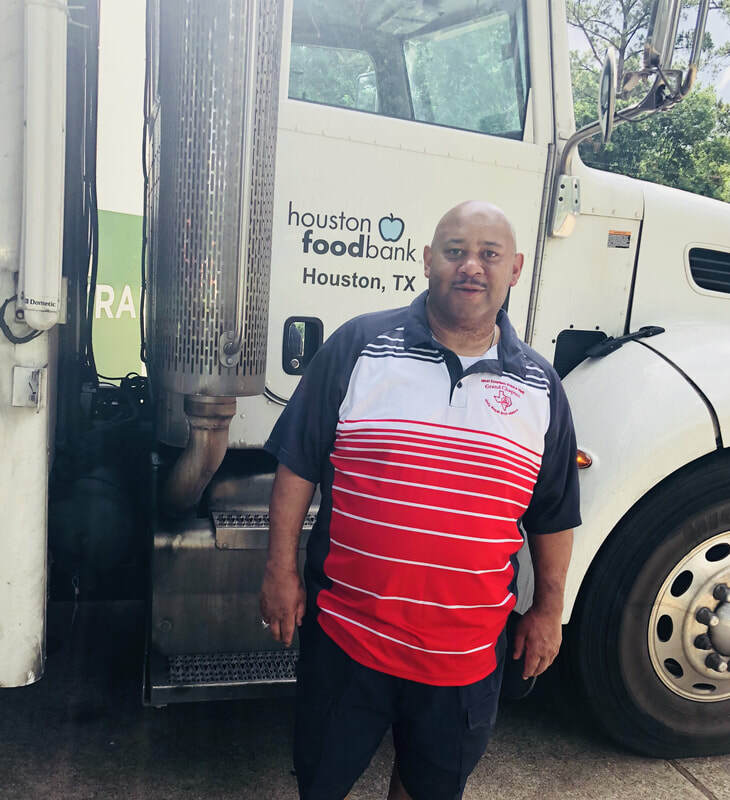 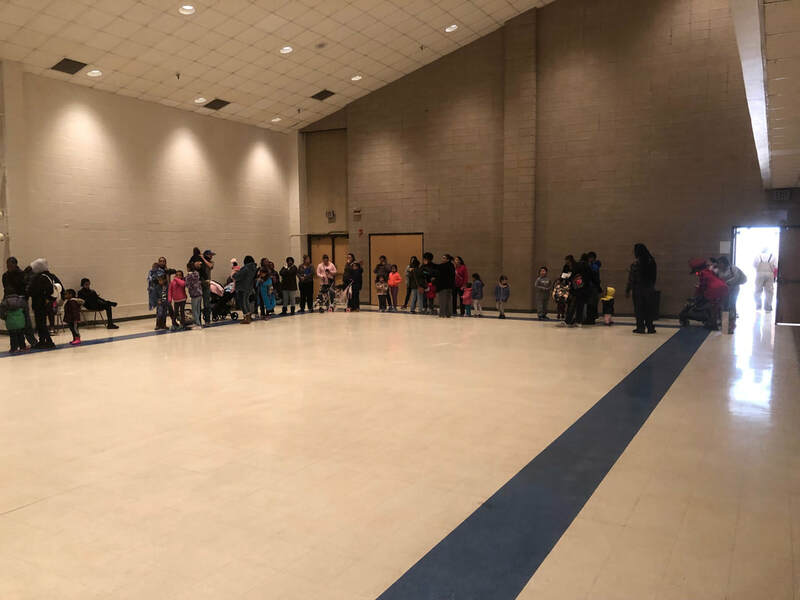 Tekhen#10 along with Lone Star Lodge #85, Highland Height Lodge #200, and Valley of the Kings UD (R&SM) provided more than 100 families with food baskets including rice, beans, fresh corn, and potatoes, peanut butter, jelly, cereal, and carrots. 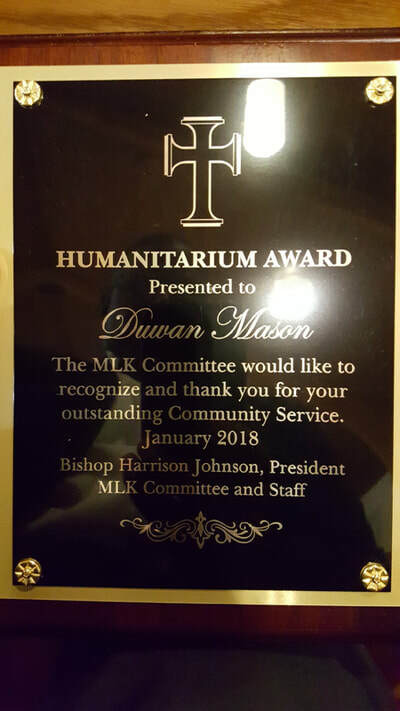 This was well received by the community and we received recognition from several local politicians. 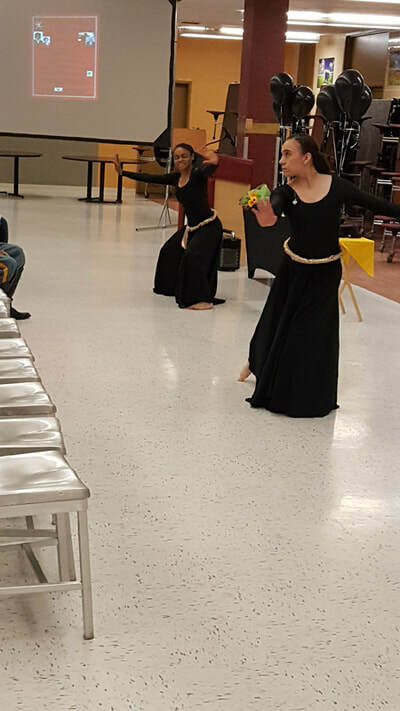 Assistant Director Jessica Berger of the Victoria Public library in Victoria. 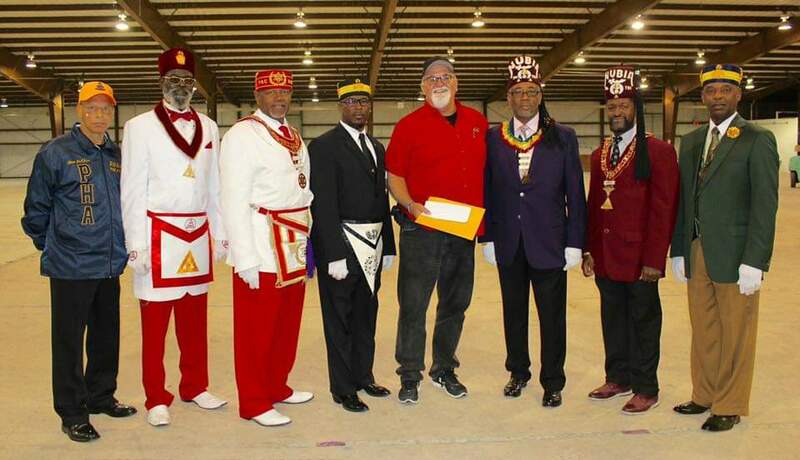 Texas , accepts books donated by the Harry H. Carson Chapter #141 Holy Royal Arch Masons. 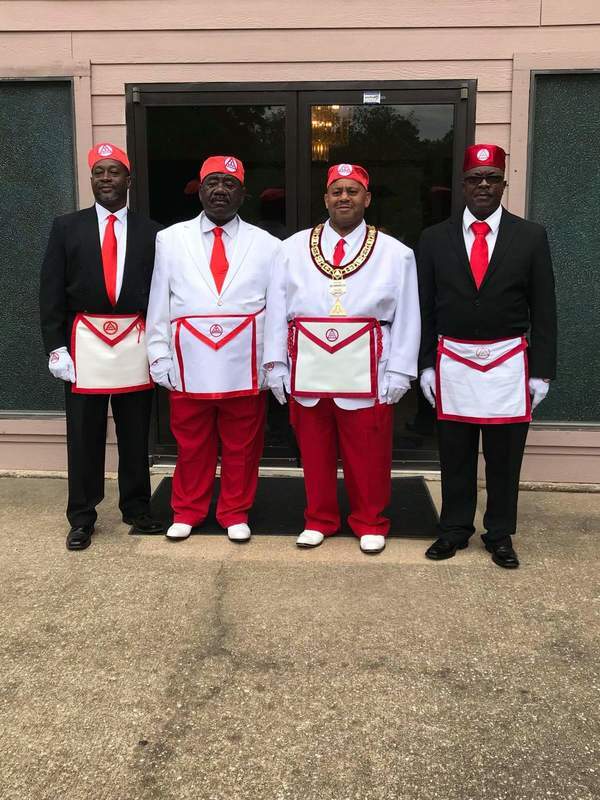 Class of 2018. Held on June 16, 2018. In first photo with class, Judge Nate McDonald - Matagorda County District Judge, Guest Speaker Mrs. Sonya Sonia- Director of Matagorda County Education Service (BCISD) and Ms. Priscilla Robinson- CEO/Founder. 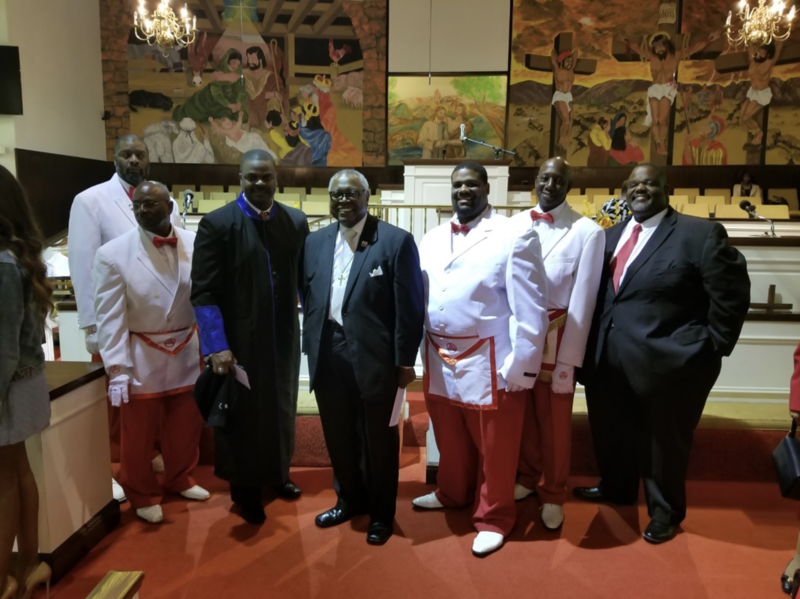 Most Excellent Prince Hall Grand Chapter HRAM of Texas and several chapters donated sixteen (16)cap and gown to E4E2 organization for graduating seniors. 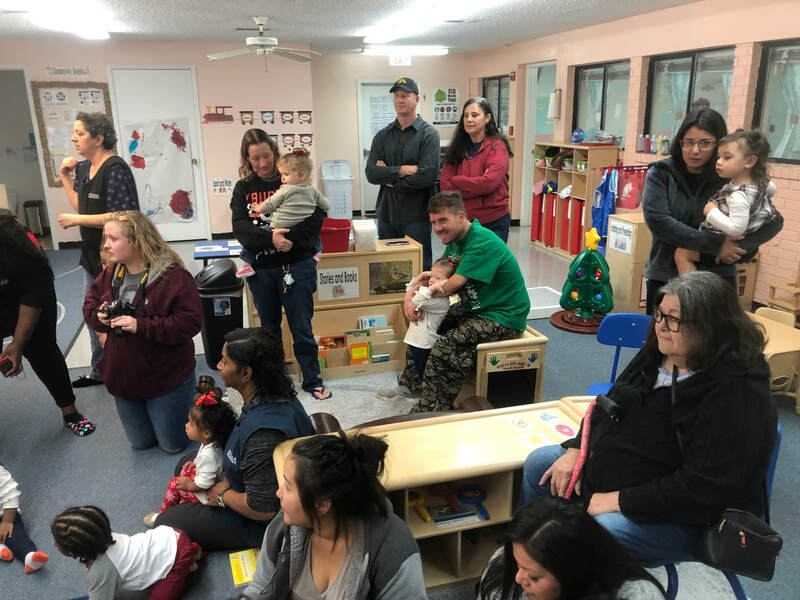 There were over hundred and fifty (150) family, friends, and staff members to congratulate the class. 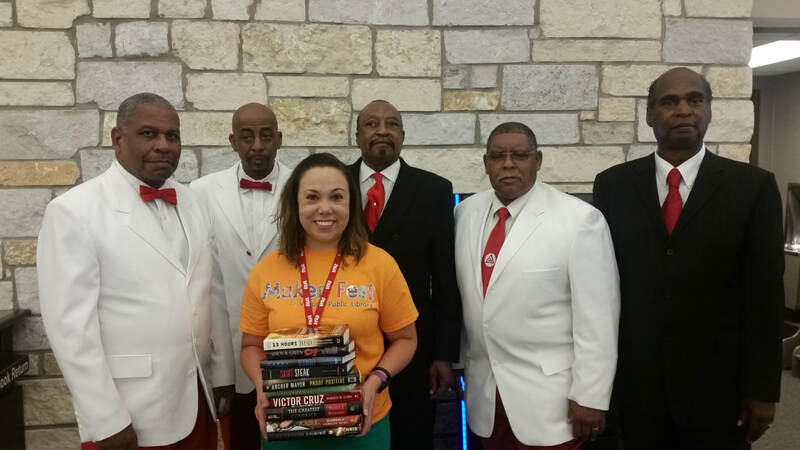 MT Sinai makes donation to Copperas Cove Public Library. 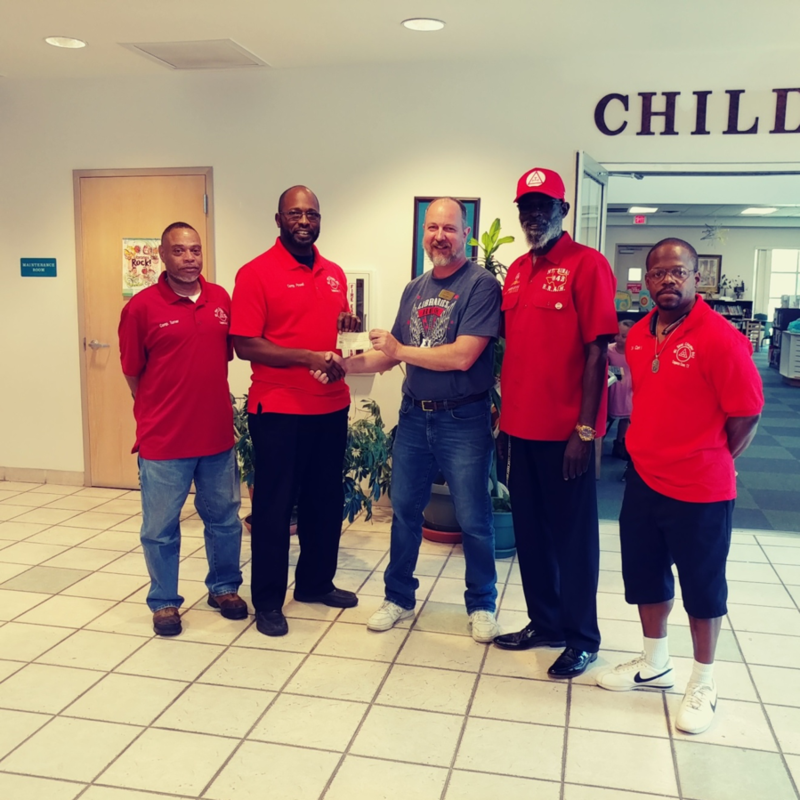 HP Tyrone Powell presents check to Library Director along Companions Shider, Ronald Turner, and Robert Clark. 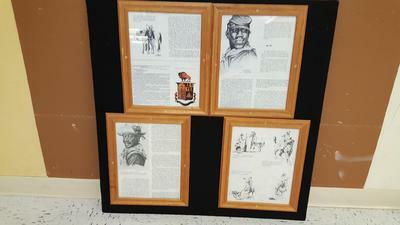 Desk of Ms. Sophia Willis, M.A., M.Ed. 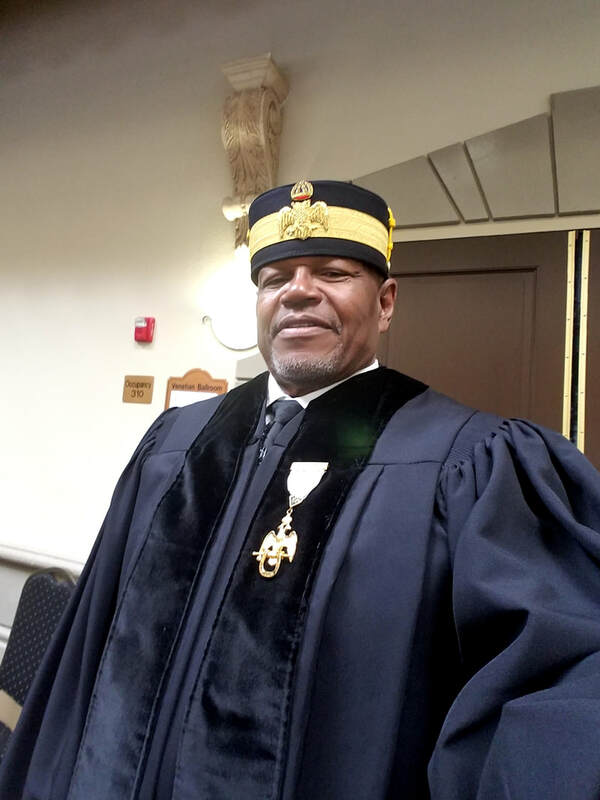 It is with extreme honor that I along with the recipients of the cap and gowns received (due to your generosity) extend our most sincere gratitude. Because of you, three of our graduates were able to march with their peer; as parents, family, friends and spectators watched from the stands at the graduation ceremony held on March 26, 2018. 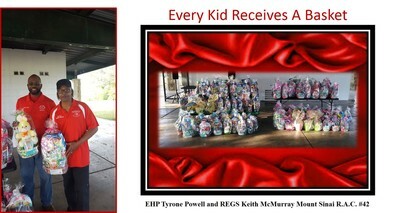 It was your kindness and generosity that afforded them this opportunity! Words alone cannot express our appreciation. 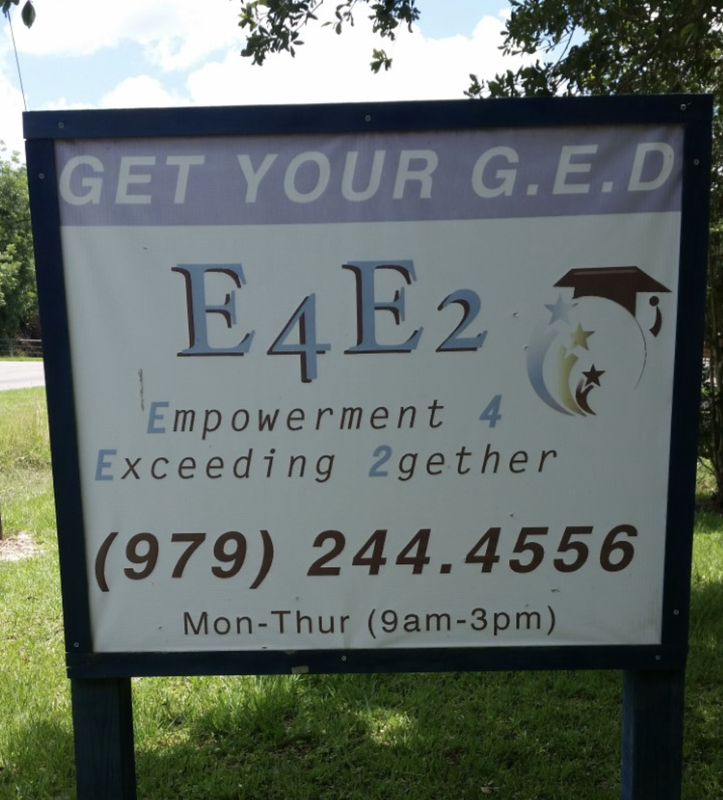 It is organizations like yours that afford our students opportunities that may not otherwise be possible. 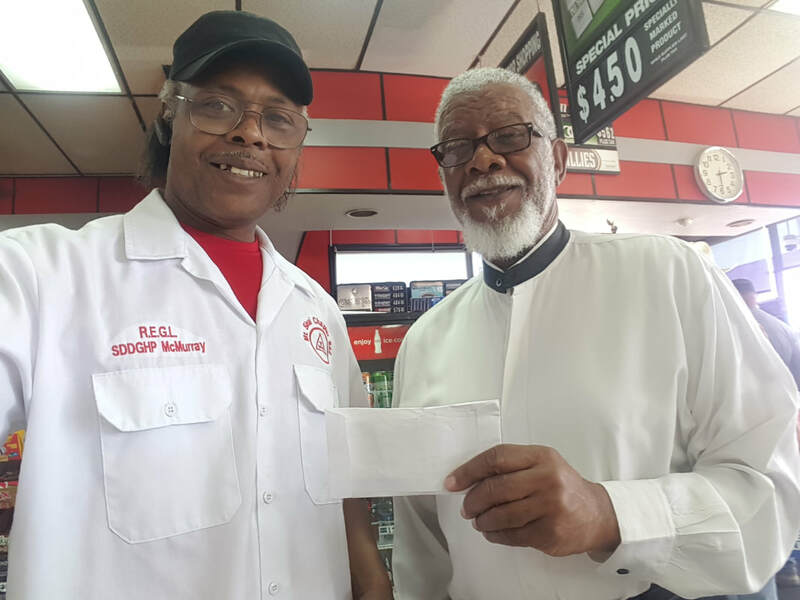 Again we are thankful to you for your act of kindness! We will be forever grateful. Please feel free to contact me for further information at 936-435-6180 or sdwillis@huntsville-isd.org. Companion & Scribe Rickey Davis, Mount Horeb R.A.C. #117, Huntsville Tx distribution site. 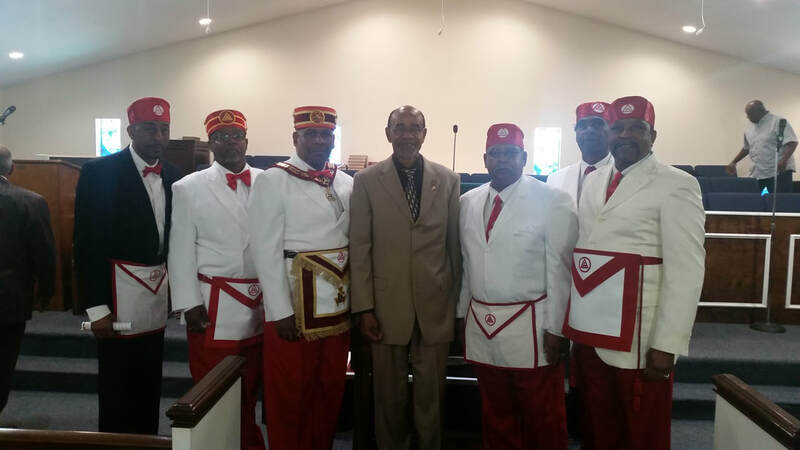 The following picture is from Arthur L Banks Chapter 143 Zerrubal Day church Visit. 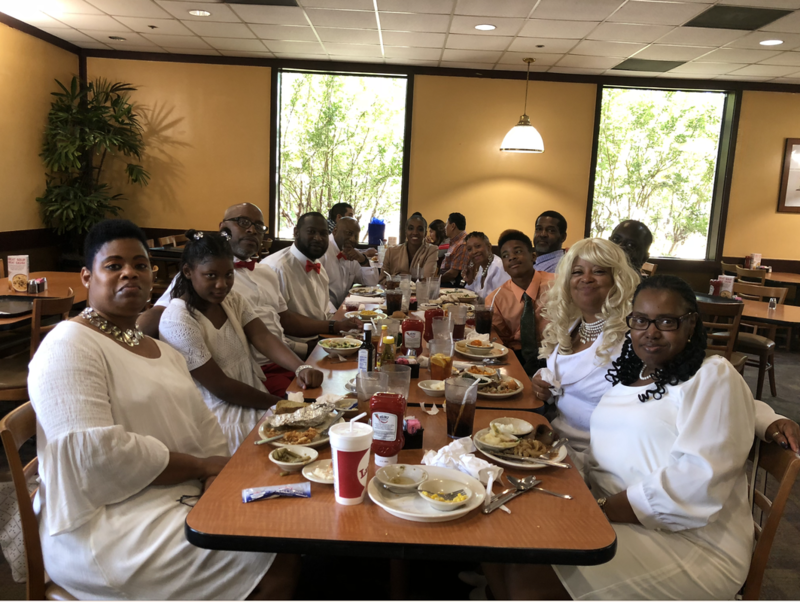 It was conducted on May 20, 2018 at Greater New Mount Zion Baptist Church – 200 Eggar Street, Waxahachie, Texas at 10 am. 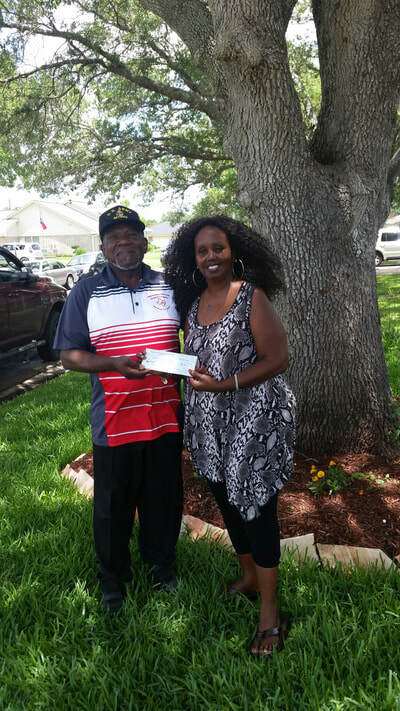 Miss Priscilla Robinson CEO and founder of E4E2 received a donation check from MEPHGCHRAMOTX. 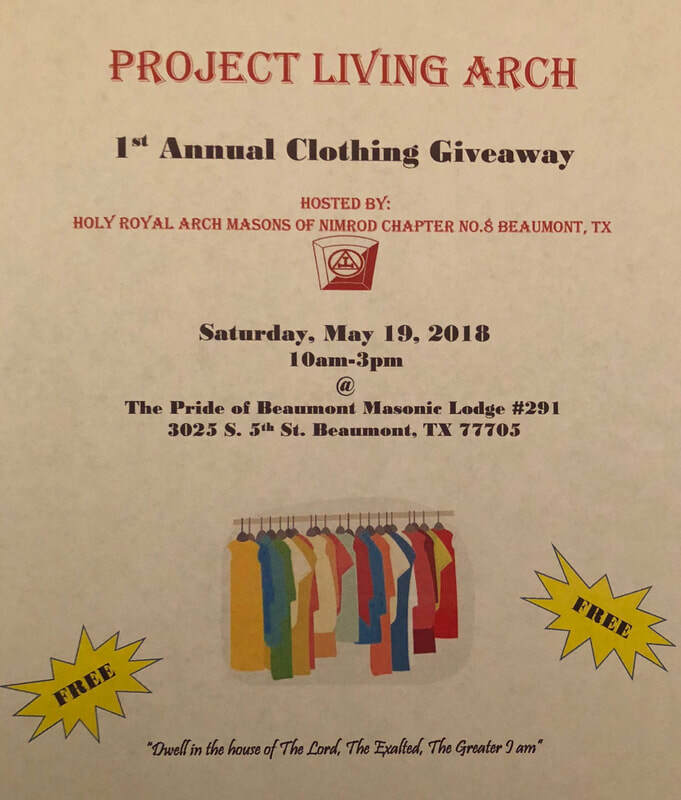 Donations for 11 caps and gowns for graduating seniors in Bay City, TX. 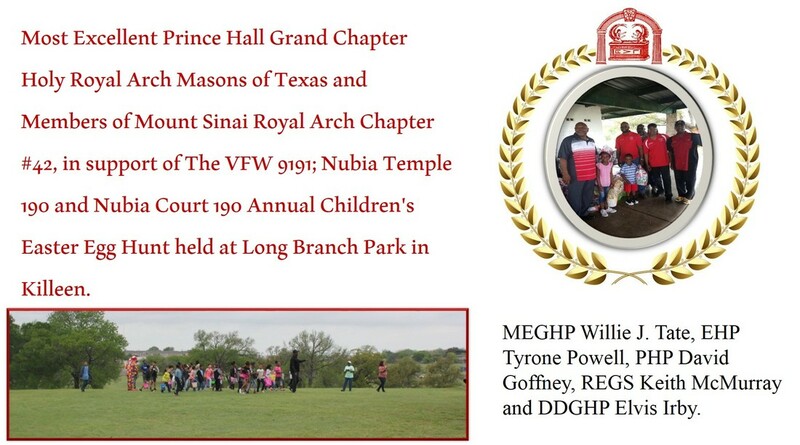 The graduation will take place at the old USO building 16 June at 3:00 pm, in Bay City, Tx. 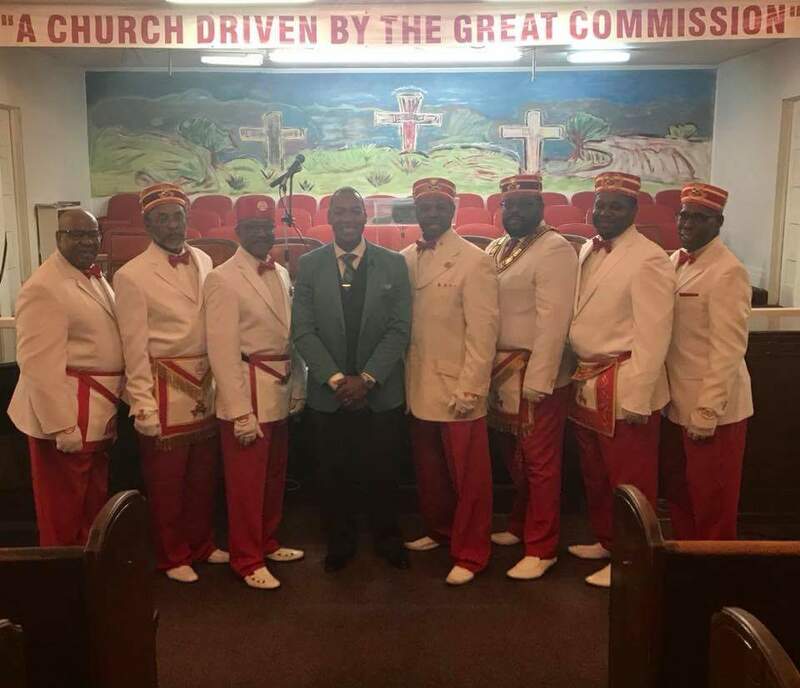 Most Excellent Grand High Priest Tate's visit to El Paso May 24-27, 2018. 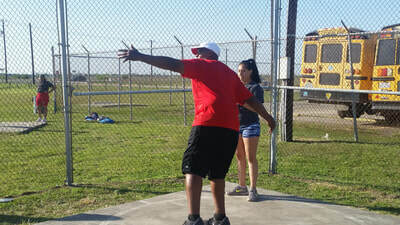 Students from West Oso High School in Corpus Christi, TX. 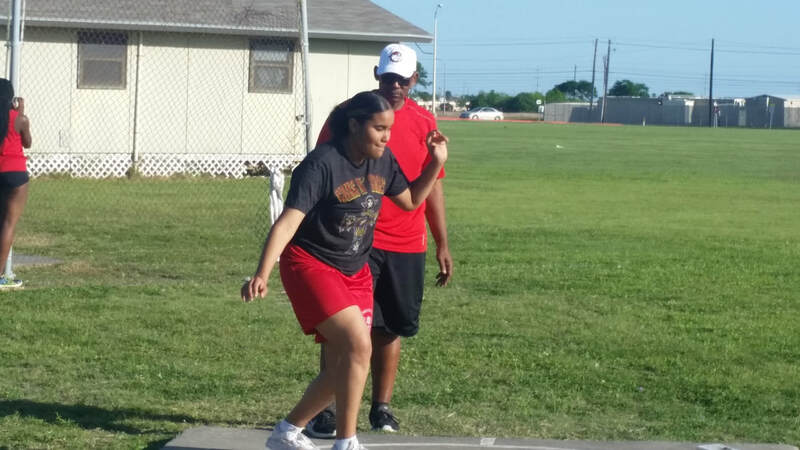 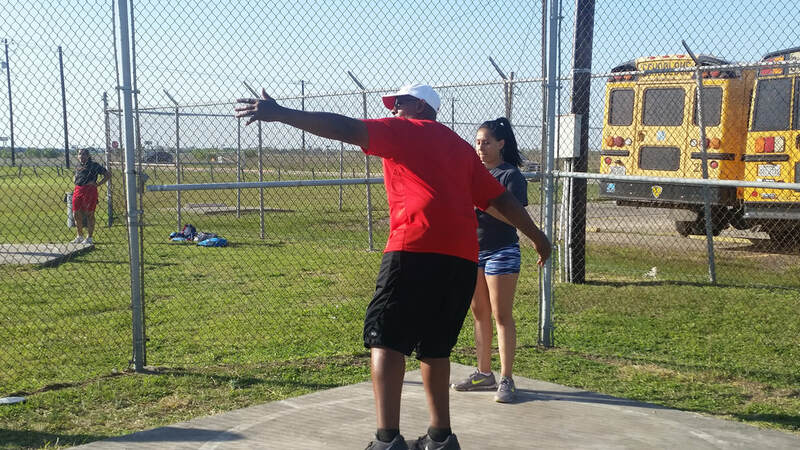 enjoying one on one coaching in the shot put/discus throw events for track and field. 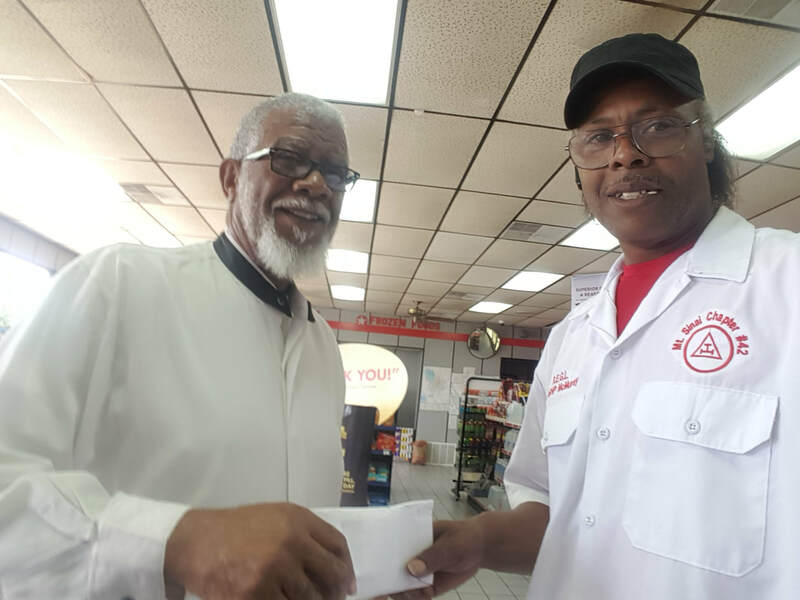 Keith McMurray Most Excellent Grand Scribe; presented a gift card to Excellent High Priest Franklin A. DeVore Sr. Of John W. Cave R.A.C. 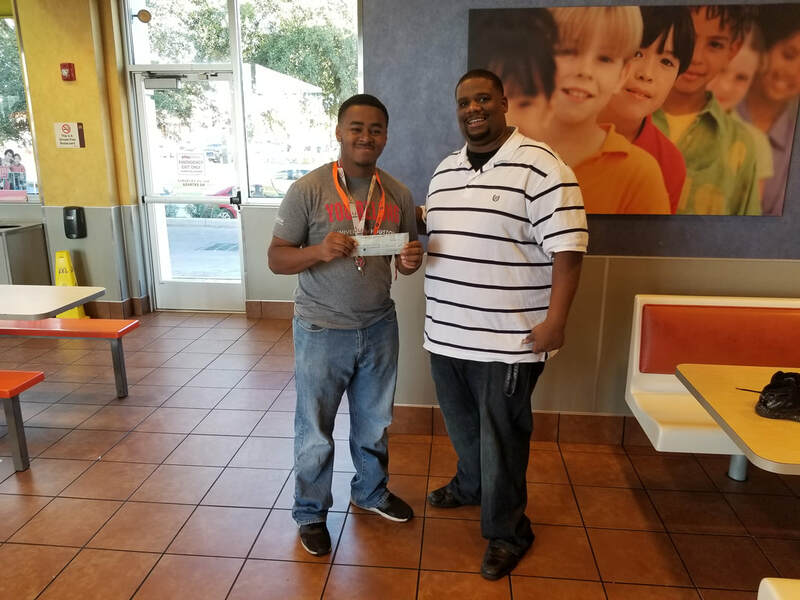 #36, San Angelo, TX for his sense of urgency in his Chapter selling the most raffle tickets the first month in support of our Scholarship Fund. 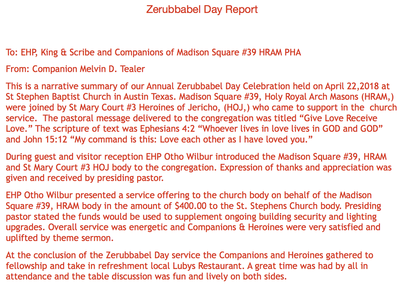 Mount Olive Chapter #1 celebrated Zerubbabel Day with Sunrise#77 at Mt. Zion Baptist Church in Richmond, Tx on April 22,2018. 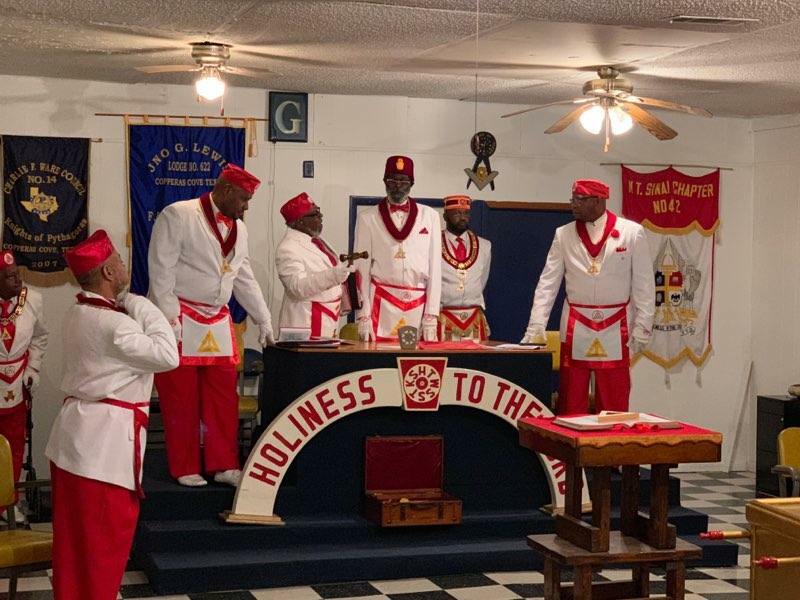 On April 28th, following the first official meeting of Mount Horeb R.A.C #117, E.H.P. 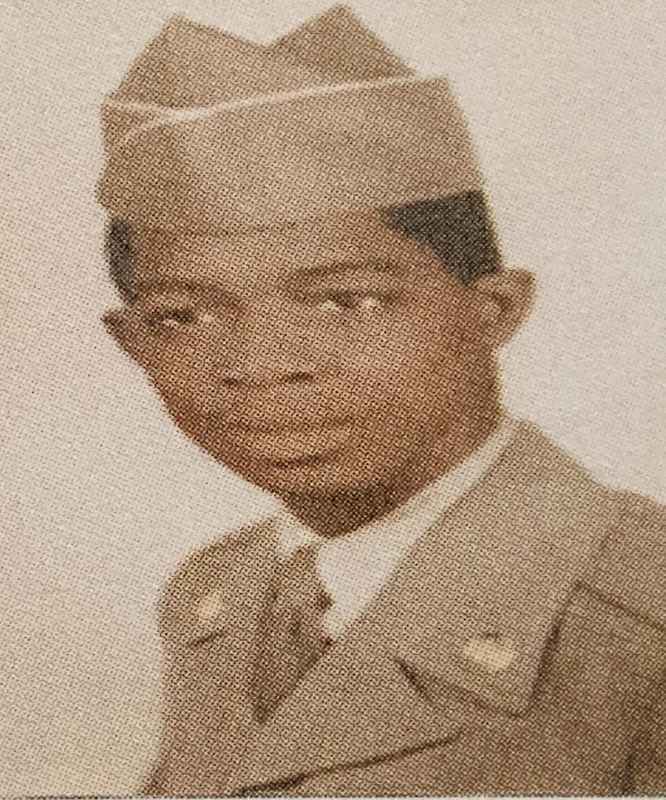 Derek Dennis, C.K. Ricky Belle, C.S. 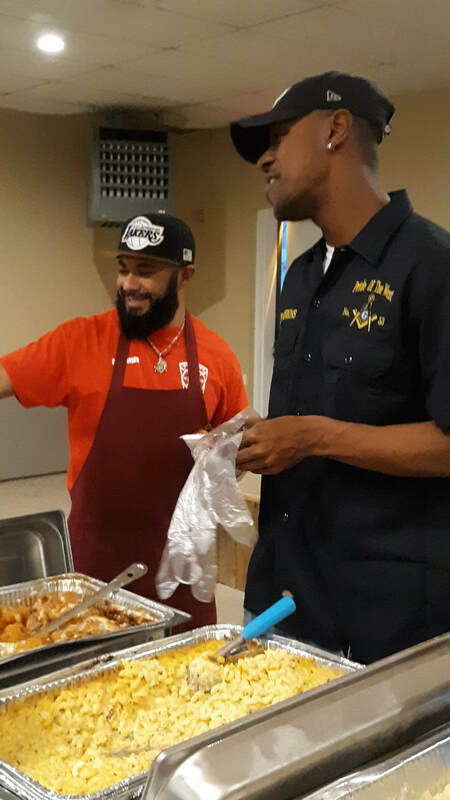 Rickey Davis, and C.Treasurer Akbar Shabazz, participated in the Mosley's Masterminds fundraiser for two local families. 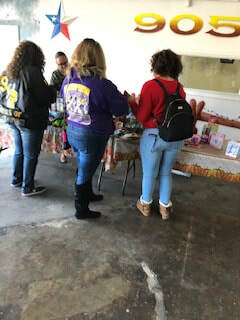 Companions of Chapter #117 assisted Heroines of Jericho Cuney Court #231 with passing out refreshments and facepainting booth. 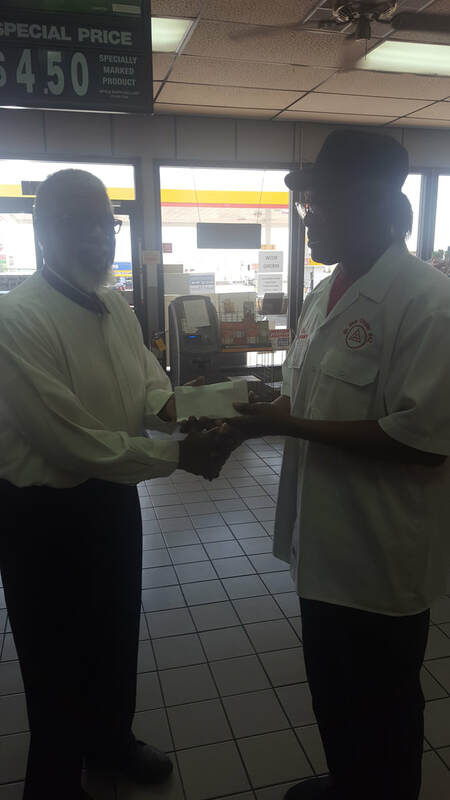 Mount Horeb R.A.C #117 also left the families a heartfelt monetary donation. 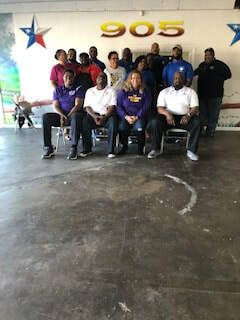 We are looking forward to working with both Cuney Court #231 and Mosley's Masterminds in future community evolved endeavors. 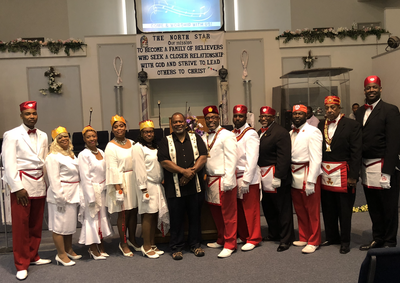 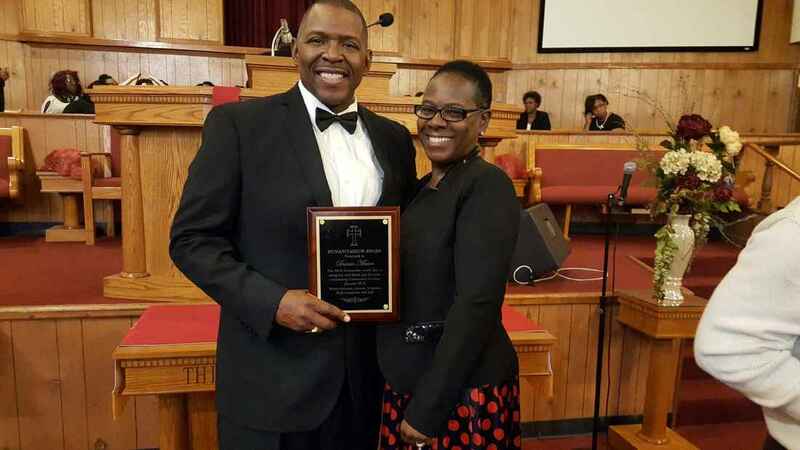 Tekhen chapter #10, observed Zerubbabel day at Mt Corinth Baptist Church in Hempstead, TX. 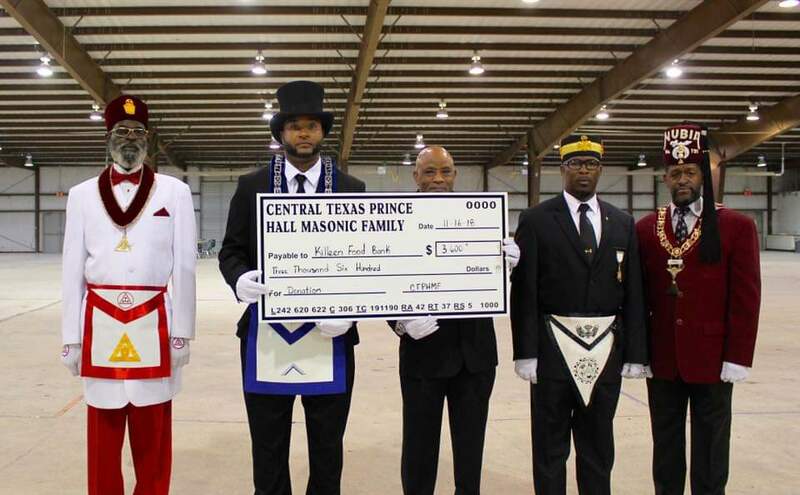 Tekhen, along with Lone Star Lodge #85, presented a check for $500 to the Church’s scholarship. 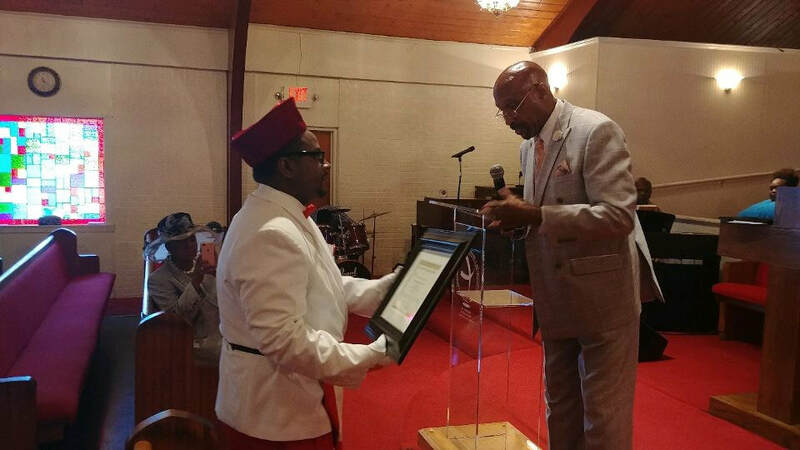 In turn, they presented us with a framed certificate for our work in the community. 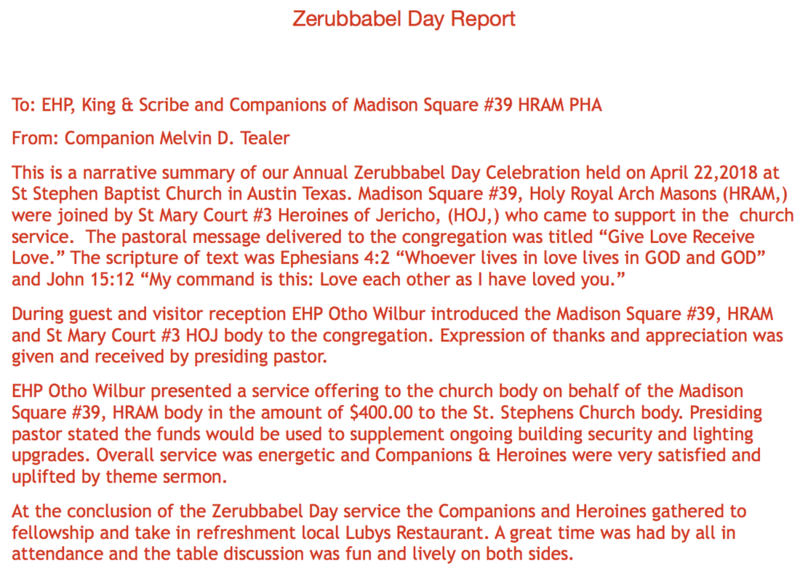 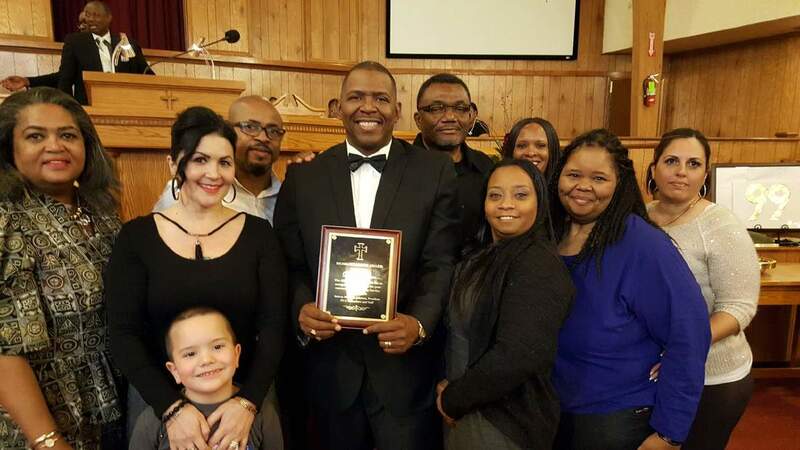 Harry H. Carson #141 enjoying the Zerubbabel Day celebration with pastor Hobbs at Mt. 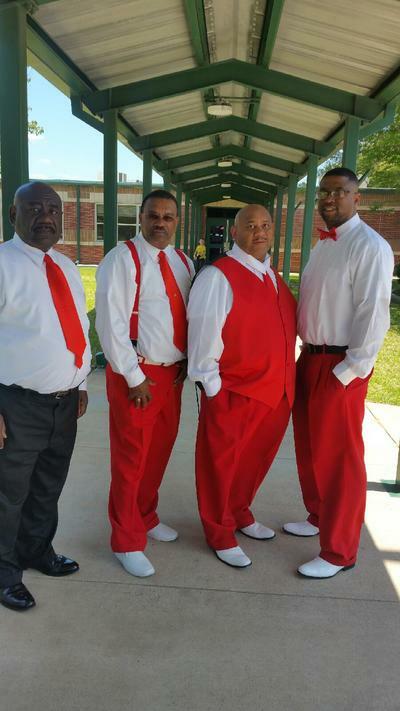 Nebo Baptist church in Victoria, Texas. Today Companion Scribe Rickey Davis, Companions Akbar Shabazz, Richard Lee, and Henderson Springer participated in Mount Horeb R.A.C 117 first Zerubbabel Day Observation. 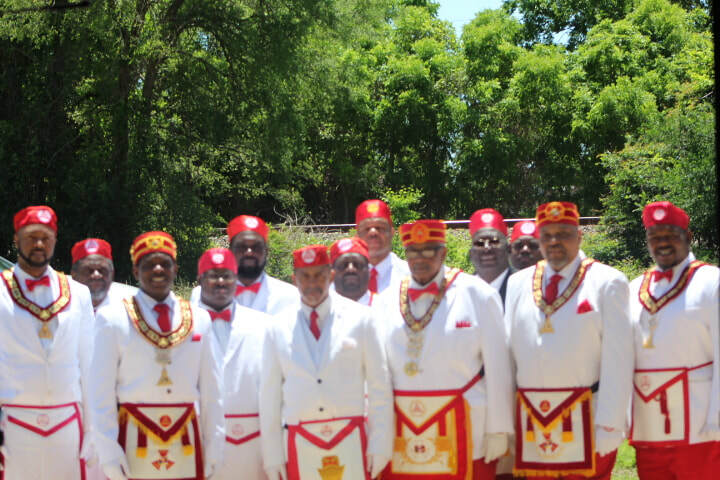 Also in attendance were D.D.G.M.A.M. Monica Merchant, Heroines from Cuney Court 231 of Huntsville, and Rising Sun Court 150 of Temple. The program was under the direction of Companion Scribe Rickey Davis. 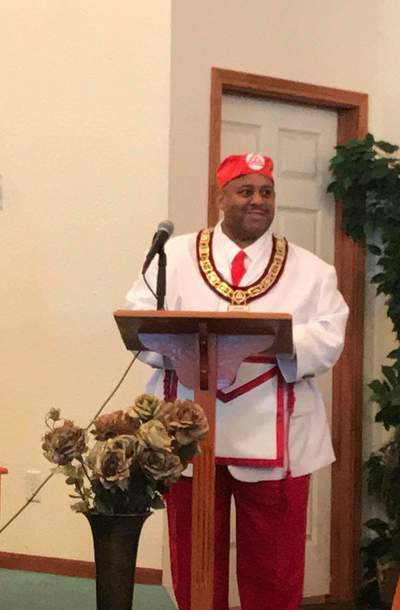 The Grand High Priest visited the Texas Council of Deliberation in March 2018. 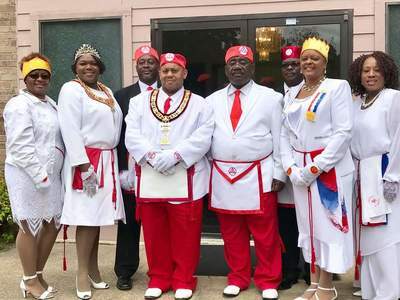 The Grand High Priest visited Mississippi in March. 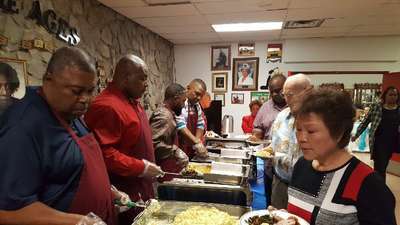 The joy of being with Mississippi. 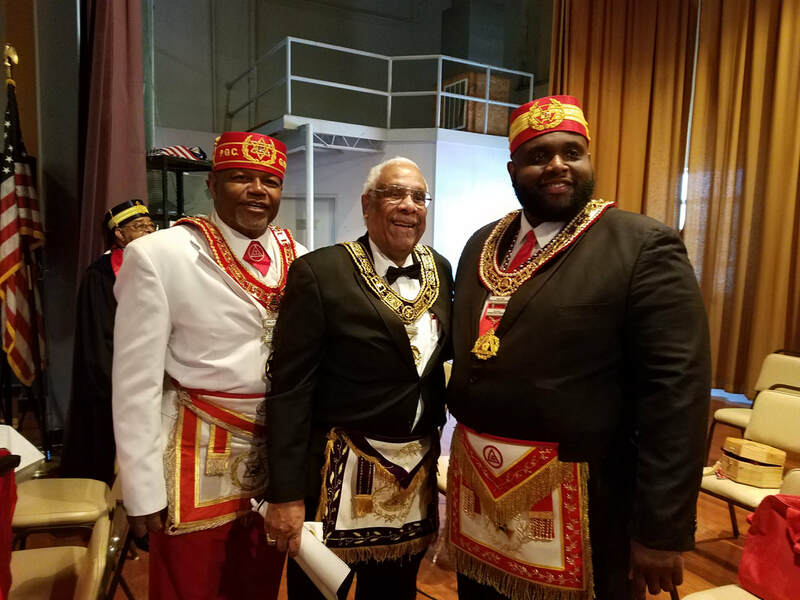 The Most Excellent Grand High Priest Jason Fisher, Most Worshipful Grand Master Maurice Lucas, and Texas Most Excellent Grand High Priest Willie J. Tate. 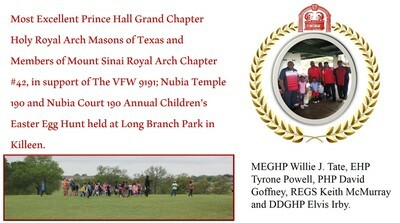 The session was very good and well attended by many jurisdictions. 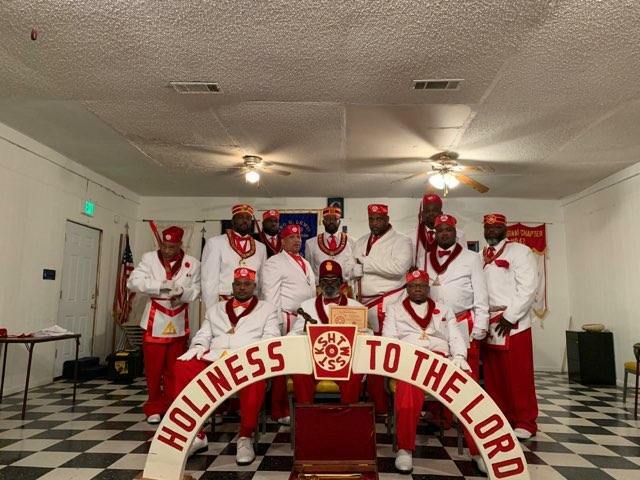 The Grand High Priest visited Mississippi in March. The states present were Arkansas, California, Pennsylvania, and Tennessee. 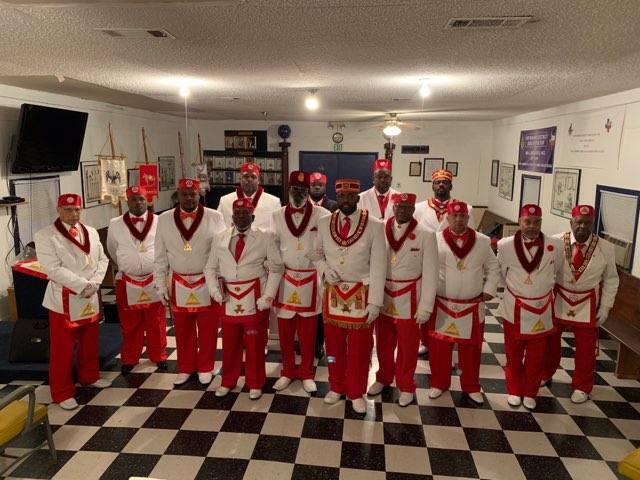 El Paso Holy Royal Arch Masons No. 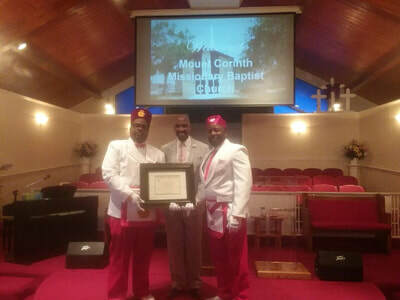 90 again received the chapter of the year for a JOB WELL DONE! 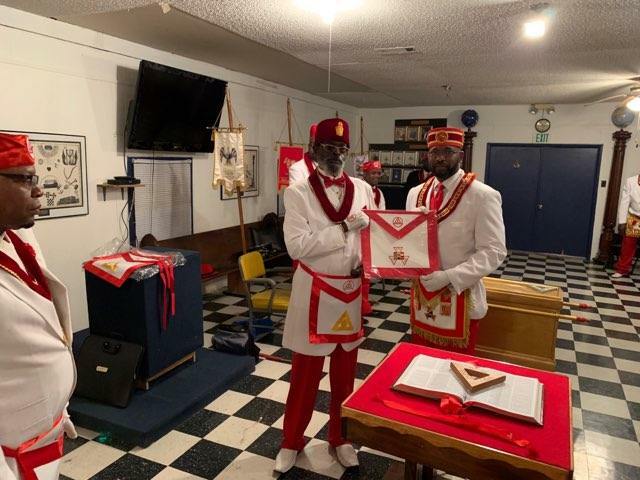 On February 23, 2018 El Paso Holy Royal Arch No. 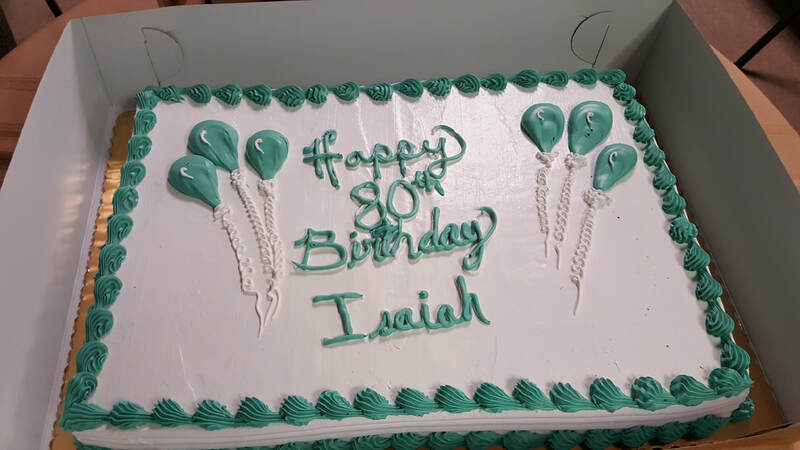 90 assisted the family of Companion Isaiah Jones in celebrating his 80th birthday, we cooked a wonderful meal and served it to all Companion Jones family and friends. 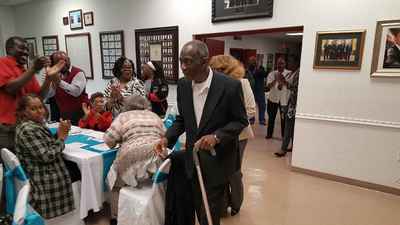 El Paso RAC 90 has always supported its older members and their families. We must never forget about the ones who have paved the way for us all. 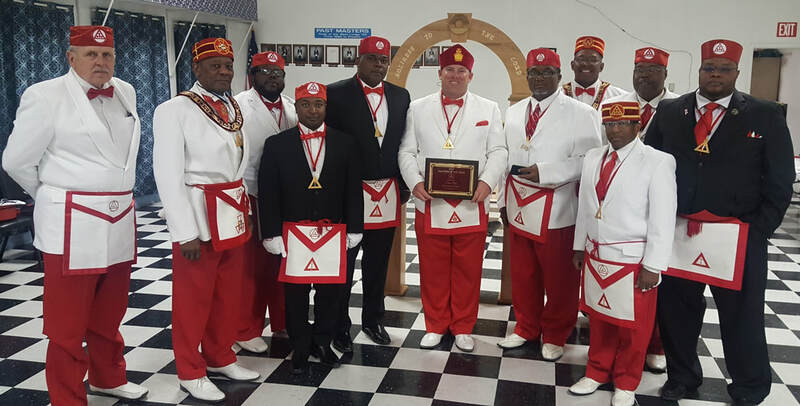 On February 24, 2018 El Paso Holy Royal Arch Masons No. 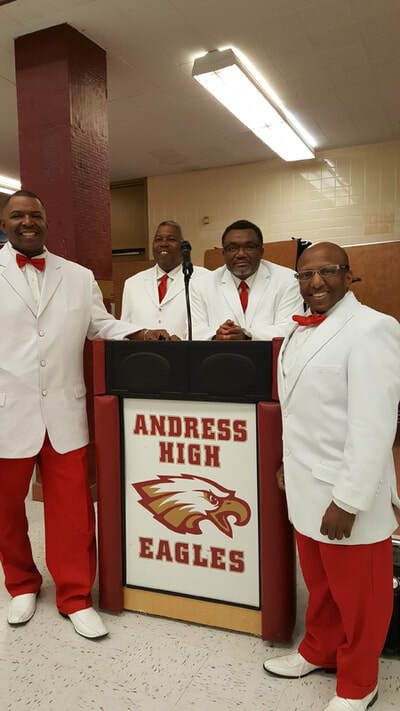 90 assisted Andress High School in El Paso TX with celebrating their annual Black History Celebration. 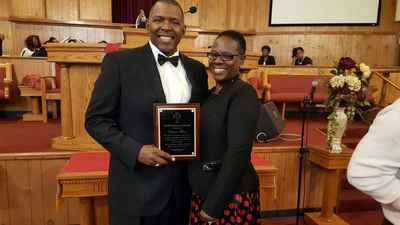 Former Iraq POW Shoshana Johnson was the speaker, her speech was truly enlightening. 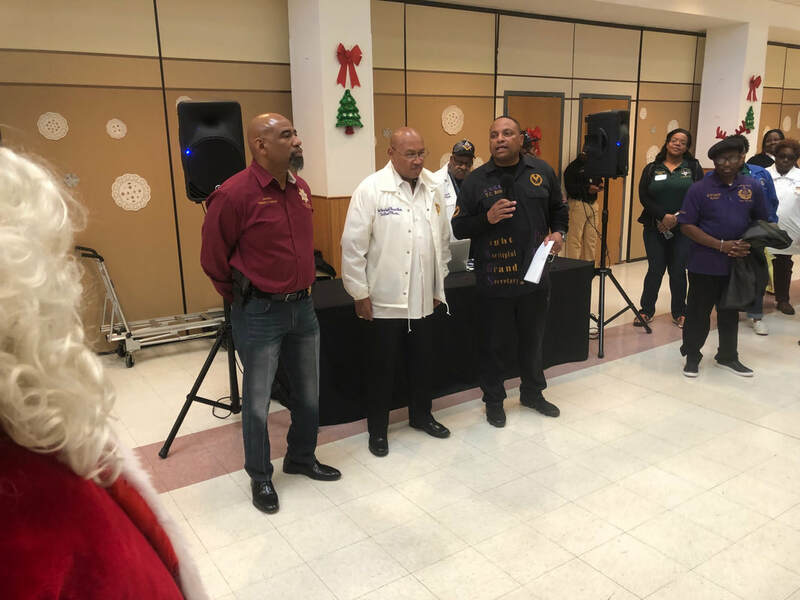 On January 20 2018 We donated 39 books to the George Washington Carver Library Austin, Texas on behalf of Madison Square #39. This is one of seven initiatives which we are required to complete by the directives of the Most Excellent Grand High Priest Willie J. Tate. 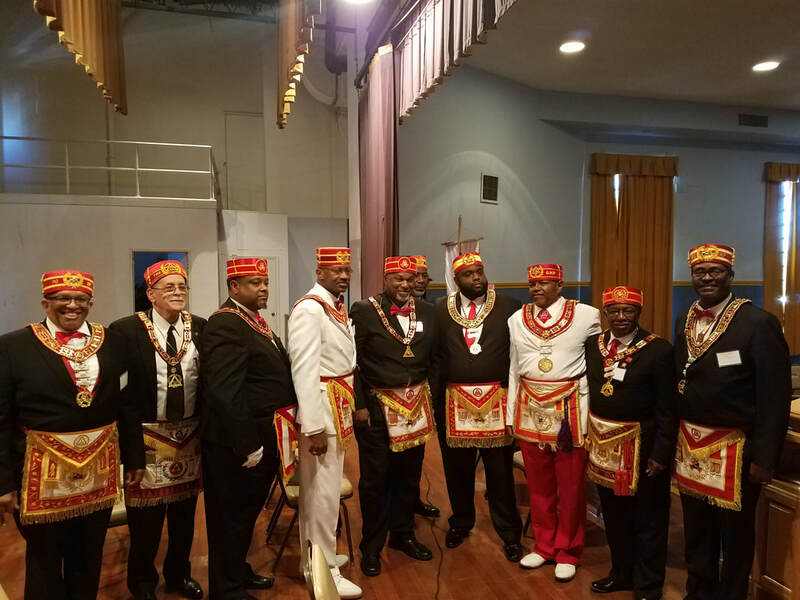 We look forward to working in unity with my fellow companions to complete other initiatives and other tasks that are set before us. 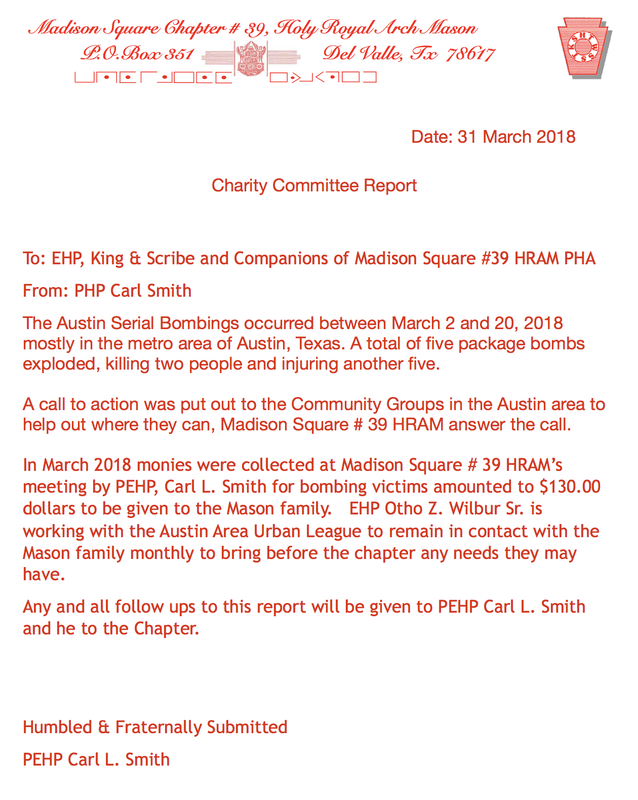 On Monday, February 19, 2018, EHP Otho Wilbur along with PHP Carl Smith and PHP David Hill presented a check for $340.00 on behalf of Madison Square Chapter No. 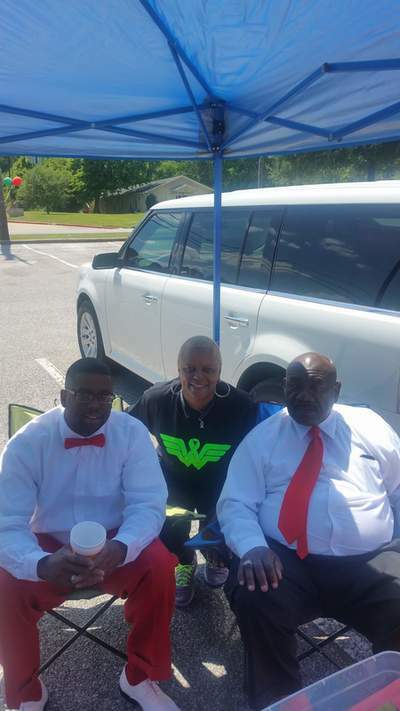 39 to Principal Anthony Watson of Stoney Point High School. 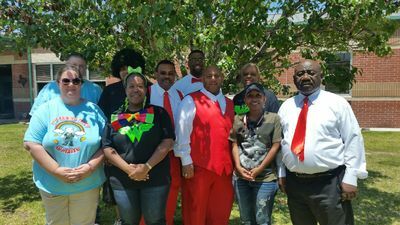 These funds will provide 7 worthy students with a Cap and Gown for their graduation schedule for May 26, 2018. 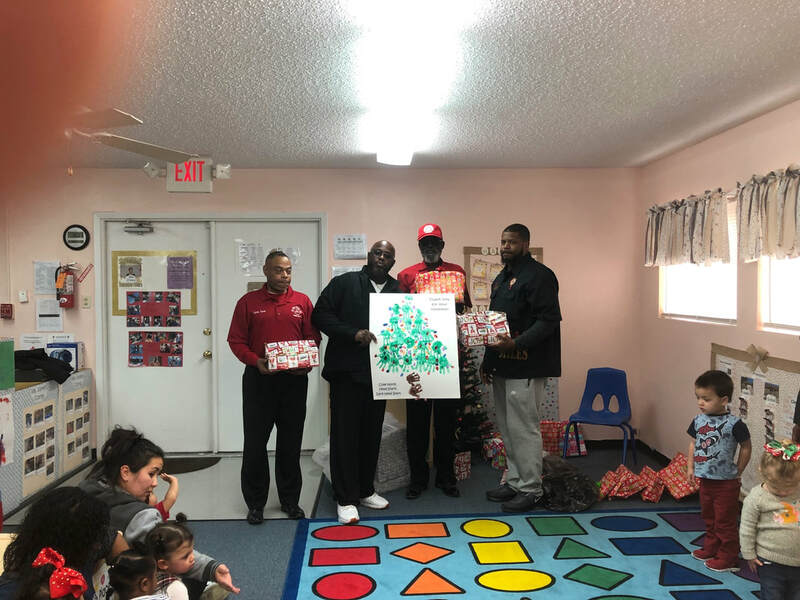 Principal Watson was very appreciative of the generosity shown by the Companions of Madison Square Chapter #39, HRAM. 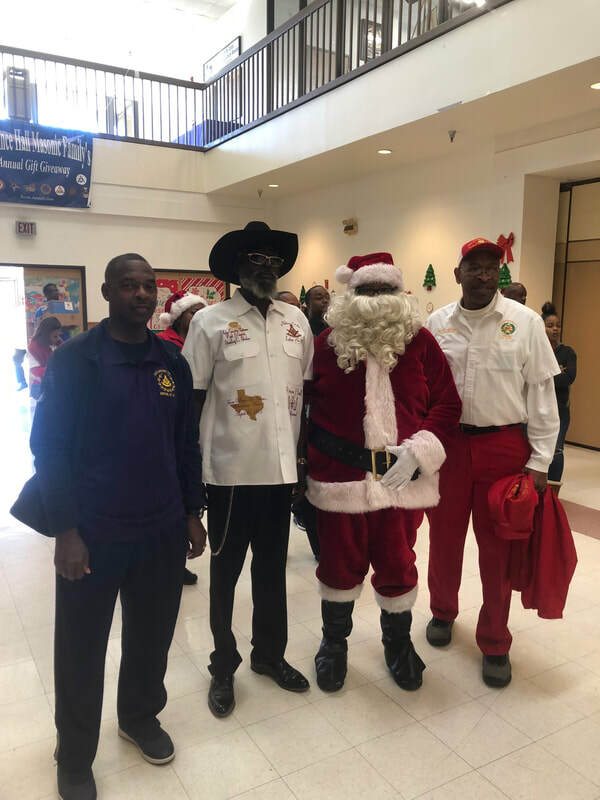 He extend an invitation for the Chapter attend to the Graduation and become “Watch DOGS” Mentors Program at Stony Point through out the school year. 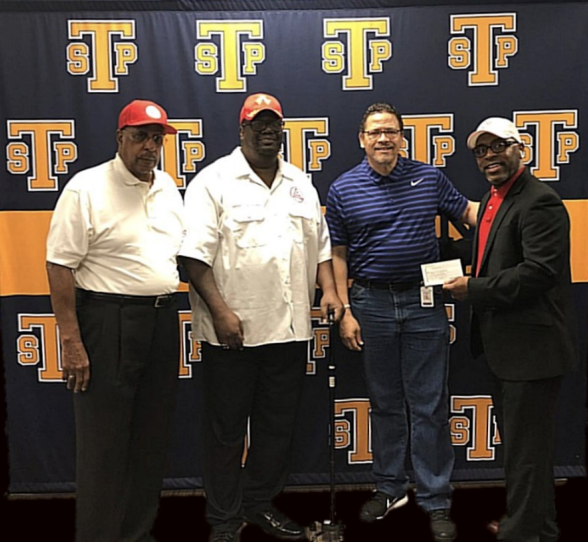 He also stated Stony Point looks forward to future joint endeavors with the Chapter.